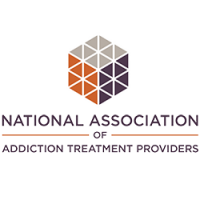 If you or your loved one is struggling with addiction, you may know Florida, particularly the Delray Beach area, as the recovery capital of America. There are multiple reasons why many people migrate to the Delray Beach, Florida area to recover from their addictions. The warm temperatures and proximity to the ocean make the environment favorable to psychological and spiritual healing. Allows them to get away from the temptations of the environment where they were active in their addiction. A strong peer-support system of recovering individuals. Your first stop in the Delray Beach, Florida area will most likely be a medical detox and/or rehabilitation center. You will spend most, if not all, of your first week detoxing. The staff at the detox and/or rehabilitation center will assure that you will have the safest, most comfortable detox as possible. From there, you will begin rehabilitation, which may be at the same facility or a separate facility. The duration of your stay in a rehab center may range from 30-120 days, depending on your health insurance and/or the amount of money you are able to pay. 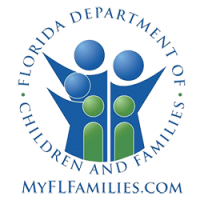 You most likely will never have to worry about being able to get into a rehab center in the Delray Beach, Florida area because the rehab centers in the Delray, Beach Florida area are very effective in helping everyone get access to quality rehab centers, regardless of their ability to pay. Even if they are not state-funded, they typically accept most health insurance plans or provide scholarships and grants for treatment. This is where the warm climate and proximity to the beach come in handy because you will be able to have fun and relax by the ocean as part of your therapy and recreation. Regardless of the time of year, you will be able to attend yoga sessions on the beach, mediate in nature, ride horses, play outdoor sports, etc. The recovery process does not end once you leave the rehab center; it is only the beginning. If you are choosing to stay in the Delray Beach area after rehab, which is strongly recommended for most individuals, you will most likely move into a sober-living facility or a halfway house. Both of those options will require you to get a job to pay a low-cost rent and be actively working your recovery. In addition to continue working on the psychological and spiritual aspects of your addiction, attending programs to continue working on your recovery is essential for community fellowship and helping others. Being able to form friendships with other recovering individuals is key to success in recovery because you will be able to work on solutions to life’s problems with those who can empathize. Eventually, you will be able to reach out to others and provide support, which will boost your self-esteem and confidence about your recovery. 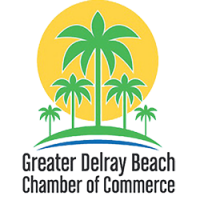 Since Delray Beach, Florida is the recovery capital of America, you will have no trouble finding a Twelve Step meeting or other group of recovering individuals. Having recovering friends is not all about reading the Twelve Steps and venting about problems. Recovering individuals do many fun recreational activities such as going sober nightclubs, going out for lunch or coffee, going bowling, going to movies, etc. The Delray, Beach Florida area is the place for new beginnings. Recovery is a lifelong process. Though that fact may sound daunting to you right now, you will be grateful to live a life of recovery once you see the true beauty of it. Any other recovering individual can attest to that fact. The Delray Beach, Florida area is a fun, beautiful environment where you can formulate lifelong friendships with other recovering individuals.